How to Enable Fast App Resume in Windows Phone 8 App? 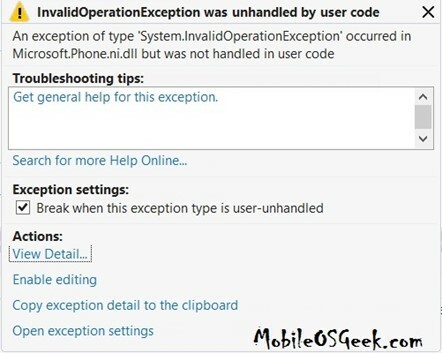 If you are receiving the below error in your Windows Phone App, have a look at the place where you are accessing the State dictionary in the Page. It could be possible that you are accessing the State dictionary within the constructor etc. The State dictionary in your page can only be used after the OnNavigatedTo event is called or before the OnNavigatedFrom is called. Accessing the Application State at the right time will resolve this issue.